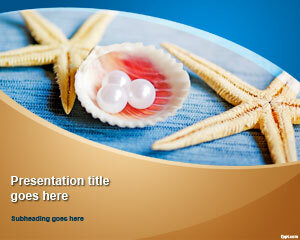 Free starfish PowerPoint template symbolizes hope, as it pictures starfish and pearls. The pearls in an oyster are hard to find and take hours for those who go in search of them. 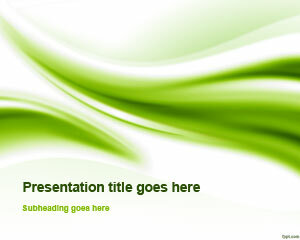 Free PPT slides about nature showcase its beauty and anomaly. 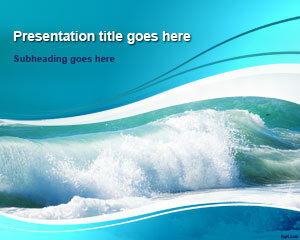 The background is the blue color of the currents of a sea. An oval shape of the front page symbolize an eye that is envisioning the sea. 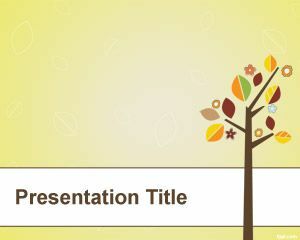 Templates regarding nature can be used for an outdoor presentation, such as free relaxation PPT theme, and sea PPT slides. There are lots of starfish combined at the seashore. There are those who say that it does not matter if you through any of them back to the sea and give it a new life. 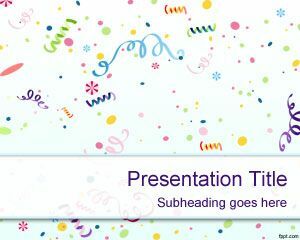 Showcase your optimism through starfish PowerPoint background and explain how saving the life of a single starfish can make a difference. Stories regarding the humble beginning of Mother Teresa and other inspirational personalities are useful in demonstrating such a concept. 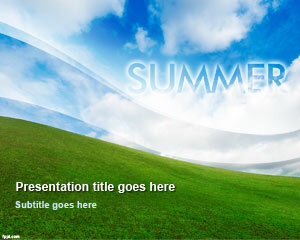 An informal presentation or an kindergarten lesson needs a laid back theme, such a theme is starfish PPT slide. It depicts a clear horizon where there is no negativity in your mind. Kids like colorful slides and will love the choice of color and theme. 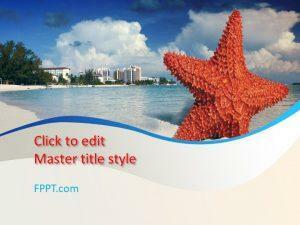 Free starfish PowerPoint template is compatible with latest version of OpenOffice Impress and Microsoft PowerPoint. It also works well with previous versions of these products.